Lightweight tripod with winch and cable for response teams involved in well cleaning and repair work. 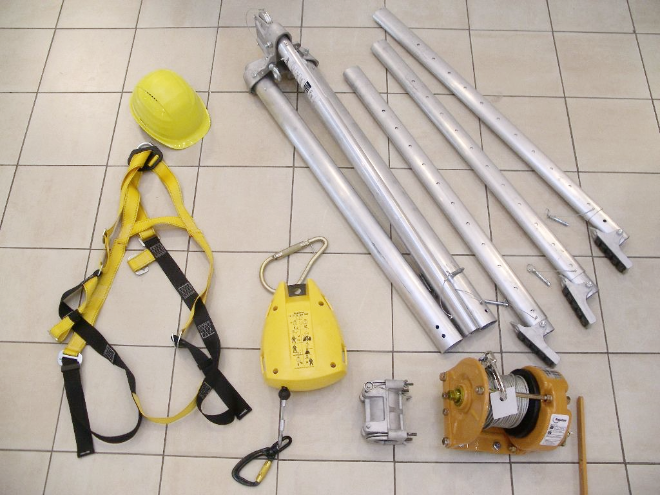 Kit includes safety equipment to protect workers to up to 15m depth. 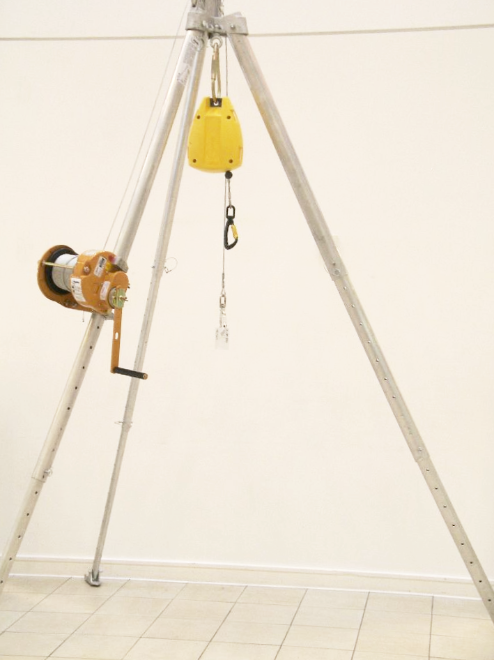 Winch equipment for lowering personnel or equipment. Fall arrest equipment for protecting personnel. Working in old wells in emergency situations, particularly after flood events, can be dangerous. Careful assessment of the condition of the well structure and stability should be made before work begins. This kit is not suitable for well construction using concrete rings.